Villanova comes into the Final Four of the NCAA Tournament as the favorite to cut down the nets in San Antonio. 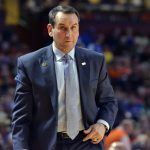 But three other teams still stand in their way, including one of the most unlikely championship contenders in recent memory. Villanova (34-4) has been on the radar of college basketball fans all season long. 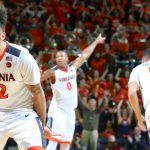 The 2016 national champions were picked by many to go all the way even before the tournament began, and now they are just two games away from winning the schools third ever national title in men’s basketball. Standing in their way in the Final Four is fellow No. 1 seed Kansas (31-7). The Jayhawks have felt somewhat overlooked by pundits, as few picked them to survive a loaded Midwest region and reach the Final Four. But Kansas isn’t satisfied simply with making it to the final weekend of the tournament. Villanova has comfortably won their first four games in the tournament, but they don’t expect things to be so easy the rest of the way. Wildcats coach Jay Wright noted that based on what he’s heard from other coaches, his team might be looking in the mirror when they go up against Kansas. 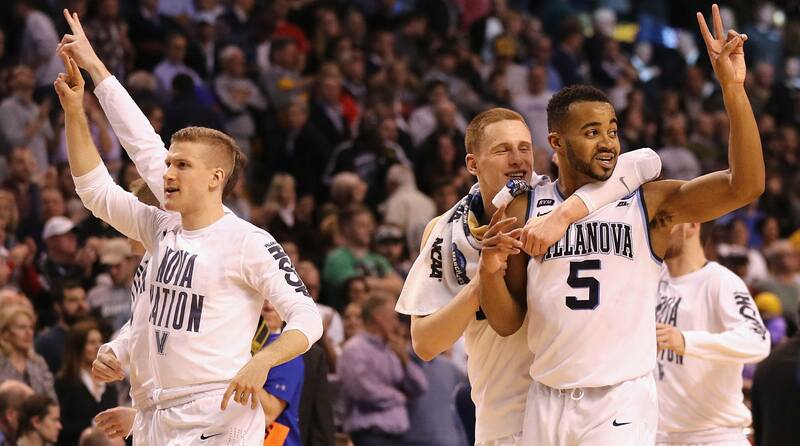 At bwin, Villanova has been posted as a 5.5-point favorite in their semifinal matchup. That’s the same line found in the other game, where Michigan is giving 5.5 points to the upstart Loyola-Chicago Ramblers. Loyola-Chicago (32-5) has captured the attention of the country by coming from out of nowhere as a No. 11 seed to reach the Final Four. The Ramblers won their first three games by a combined four points, but it would be wrong to call them lucky: while they were unknown heading into the tournament, they have gotten this far based on strong guard play and tough defense. 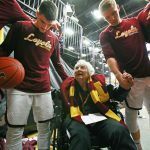 They’ve also captured America’s hearts, with more than a little help from Sister Jean Dolores Schmidt, the 98-year-old nun who has become the face of the Ramblers. Even Michigan coach John Beilein acknowledged that the Loyola-Chicago story is hard to root against. “If I wasn’t coaching Michigan, I’d probably be rooting for them too,” Beilein said. 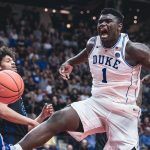 While Michigan is the favorite to knock off the Ramblers, they would likely be an underdog against either opponent they would then meet in the national championship game. At Ladbrokes, Villanova is an even money favorite to win the national title, followed by Michigan (5/2), Kansas (3/1) and Loyola-Chicago (12/1).